Larry talked to Director Emeritus Jack Hanna of the Columbus Zoo on Wednesday. While they were chatting, one of Jack's good friends dropped by and joined the conversation. A subdued John Travolta returned to the stand Wednesday in the ongoing trial in the Bahamas involving an alleged extortion plot following the January death of his 16-year-old son Jett. Dressed in a charcoal gray suit and accompanied by wife Kelly Preston, the actor, 55, entered a Nassau courtroom in the morning to continue testimony in the case, in which prosecutors have accused former Bahamian Sen. Pleasant Bridgewater and paramedic Tarino Lightbourn of plotting to extort $25 million from Travolta in return for not making public a document relating to Jett's treatment. The pair have pleaded not guilty. During direct examination, Travolta testified that he had first heard about the alleged extortion attempt from Ronald Zupancic, a friend and employee of the actor. "[Zupancic] was upset. He said that there was a threat and a demand of money that Mr. McDermott, my attorney, had alerted him to with a release paper that I had signed in the Bahamas," said Travolta. "I spoke to my attorney, and he needed to investigate the matter. I gave him permission to go to the authorities based on the information he gave me," Travolta also said. Mackenzie Phillips opens up about a secret she's kept for 30 years - her affair with her own father, John Phillips of The Mamas and the Papas. Find out why the One Day at a Time star carried on a long-term sexual relationship with her father and how she is coping with her past. That's tonight at 9pmET/6pmPT. What do you think about Phillips' decision to speak out now? Now some of that mystery has been peeled away. Jackson recorded about 30 hours of deeply personal thoughts with his friend and spiritual adviser, Rabbi Shmuley Boteach, between August 2000 and April 2001. The results are the basis of a new book, "The Michael Jackson Tapes: A Tragic Icon Reveals His Soul in Intimate Conversation." Boteach joined LKL in an interview on Monday night that painted the pop star as a lonely, injured soul who craved adoration and love but was too damaged to find it. Boteach's recordings also revealed Jackson's relationships with various family members and celebrities - some of which were warm, others tense and others painful and dysfunctional. When Jackson was recording his tapes, Madonna was not held in high esteem. "She is not a nice person," Jackson told Boteach. Jackson revealed how he and Madonna had bickered about where they would socialize. "I said, 'I am not going to a strip bar, where they cross dress. ... I am not going to there. If that's how it is, forget this whole thing. ... Afterwards, she wrote some mean things about me in the press. And I wrote that she is a nasty witch, after I was so kind to her," Jackson said. King asked Boteach whether Jackson's opinion might have moderated on Madonna, especially in light of her warm comments at his memorial service. "Well, let's be very fair to Madonna," Boteach said. "These comments by Michael were said about his experiences with Madonna years and years ago, when she had an extremely testy public image. She was the Material Girl, the bad girl. And I think Michael was reacting to that." Move over, death and taxes. Litigation involving Michael Jackson is yet another inevitability we can set our clocks by. The late singer's estate is embroiled in two new lawsuits, one filed today in federal court by Jackson's administrators against the Heal the World Foundation and its affiliated corporation for allegedly trying to trade off of Jackson's name, his song and other terms unequivocally associated with the King of Pop. 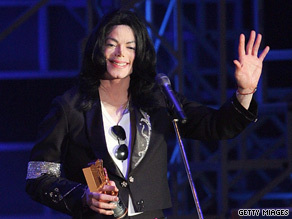 Terms such as, "King of Pop." Heal the World and United Fleet have been trying to "deceive the public into assuming they operate Jackson charities and thereby obtain contributions from Michael's fans who believe they are making charitable donations to a legitimate Michael Jackson organization," reps for estate administrators John Branca and John McClane said in a statement. My life has been powered by service for as long as I can remember. As I prepare to announce Powered By Service, an international call to young people to serve and create change using their talents and passion, I’m sure some will say “I can’t wait to become famous like Usher so I can have a real impact.” But, I can tell you there is no need to wait! The point of Powered By Service is that everyone, no matter who they are, has gifts and talents that they can use for service right now! Every single person has a talent that he or she can use against seemingly insurmountable problems —whether it is quick wit in policy debate, the ability to command attention through music, a passion for investigative journalism or the management savvy to start a business that meets a financial and social bottom line. Every single person can and should lead a life that is Powered By Service. In my life, I have been blessed to be a blessing to others. Through my music and philanthropy I can help others not only through charitable acts that relieve burdens, but also by inspiring and supporting youth as they discover their own ways to be blessings. It has only been in recent years however, that I discovered this blessing, this power, takes the form of service. When I look back, I realize I have been serving my community ever since I was a kid. I still remember when I was about 9 years old, the Boys and Girls Club took a bunch of us out to do a park clean up. Most of us didn’t think much of it at the time. We were outside. We had a good time. We were all able to pitch in and accomplish a goal. But, at the end of the day, we did have a little more pride in our community and a little more belief that even the smallest acts can create change. That small act planted the seed for a life Powered By Service. As my life continued I was fortunate enough with the support of family, friends and remarkable mentors to find success in music and entertainment, but I was still grounded with the understanding that I must find ways to give back just as much as I have been given. In 1999, I started Usher’s New Look Foundation. Don't miss this primetime exclusive – Michael Jackson's taped confessions revealed! Find out who he calls the love of his life, which fellow pop star he says was "not a nice person", and hear his reflections on his relationship with his father. Michael Jackson's friend and adviser Rabbi Shmuley Boteach- Larry King Live tonight. That's at 9pmET/6pmPT! 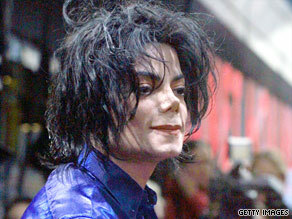 What aspect of Michael Jackson's life is most interesting to you?